South Korea battles freak cold spell Jump to media player South Korea is so concerned about power blackouts during a freak spell of cold weather that the government has told some businesses to start limiting their heating. South Korean students brave boot camp Jump to media player Over a thousand South Korean civilians have been braving the cold winter weather to attend boot camps run by special commando groups. The bustling entertainment districts of one of Asia's largest cities, Seoul, were pitched into darkness on Tuesday as the government clamped down on energy use to cope with rising oil prices. 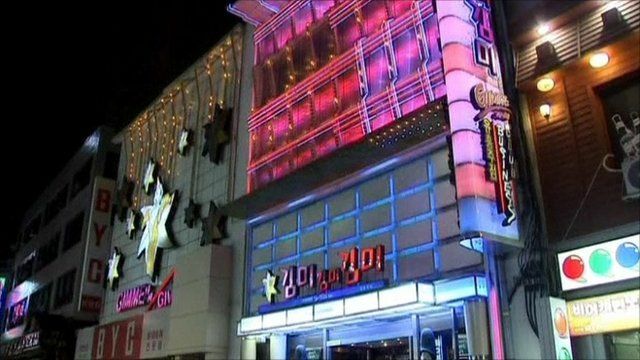 Neon signs and outdoor lights were ordered to be switched off in the business and entertainment districts of the South Korean capital in a tangible sign of how the oil price rise is hurting the resource-starved country.